Staining your favorite top while applying your foundation, spilling red wine on your dress or breaking the zipper on your favorite jacket, are some tiny problems that can ruin your day. But when you know the right hacks, your life can become a lot more easier and you can find a solution for all of your ruined clothes. For that purpose, today, we are bringing to you a collection of 20 Must-Know Hacks For Fixing Ruined Clothes and we are sure that you will find them really useful. Check them out! Leather purses, especially those in lighter shades can easily get dirty, so you should know how to wash them. Take a castile soap and pour about 1/4 cup of it into the washing machine, drop in the bag, set washer to gentle cycle and turn it on. Once it is done, take the bag outside and let it dry on the sunshine. 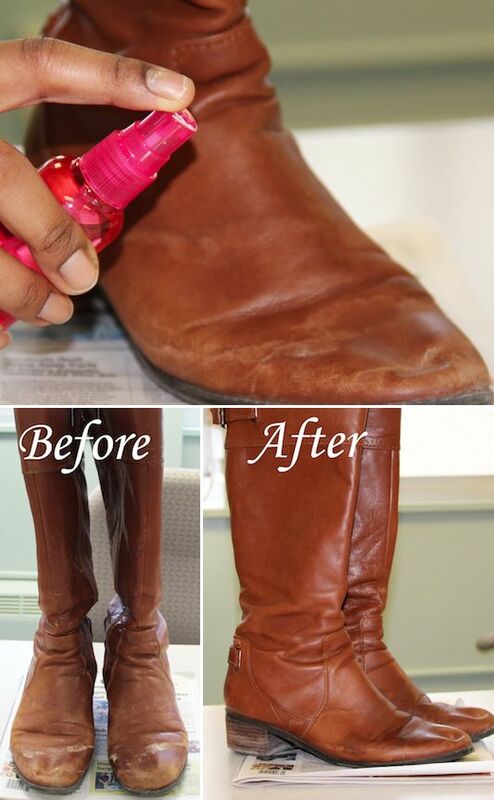 When it is completely dry, apply some leather conditioner for better protection. 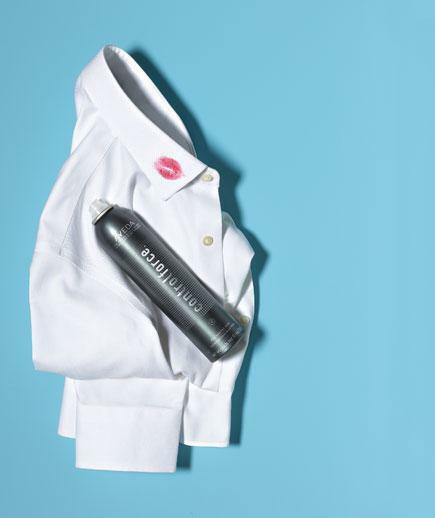 The best way to remove a lipstick stain from a shirt is to spray it with hairspray and let it sit for a couple of minutes. Pat the stain and then toss it in the washer. 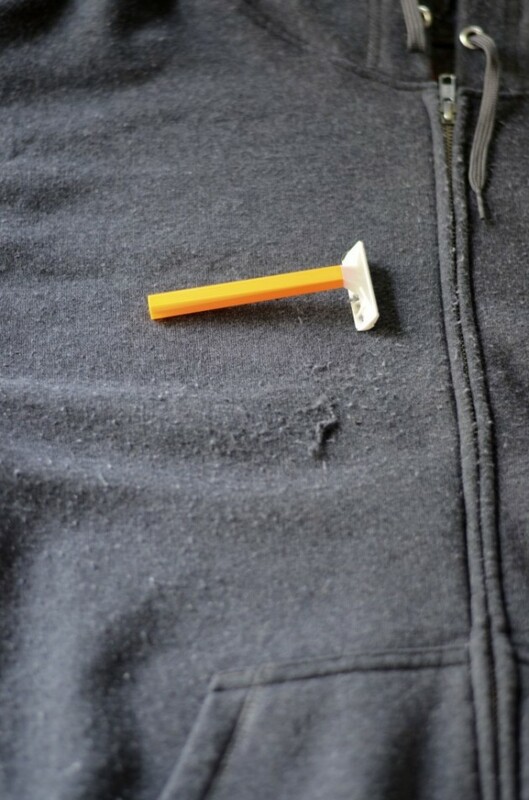 Some fabrics have a tendency to shed little fuzzies all over themselves and they can be easily removed with a disposable razor. Take the fabric, whether it is your coat, sweater or hoodie, spread it across a flat surface, pull the fabric taut and gently shave the pilling away from the fabric. New shoes can sometimes be too tight to wear, so you may try this technique to stretch them. Get two zip lock bags and fill them with water just under half way. The bag will stick over the edges of the shoe a little which helps stretch that area. Put the shoes with the bags into the freezer and let them sit for a night. Take them out the next morning and see if your shoes feel comfortable now. This little nasty accident can happen to anyone, so you should be familiar with how to get rid of it. You will need an ice cube to get the gum as cold as possible. 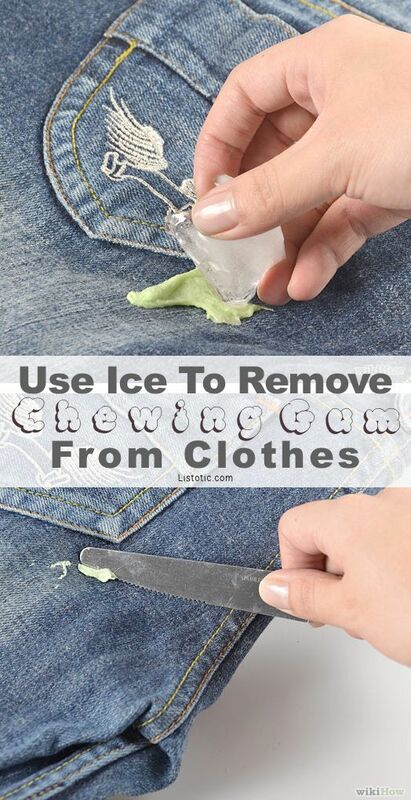 Once it is hardened, the gum can be easily scraped off. Every woman hates when the underwire from her favorite bra breaks, so we want to get you familiar with how to fix this tiny problem. You will need a piece of moleskin that you will simply use it to cover the place where the underwire breaks through. To get rid of this tiny problem, you will need a snag-nab it needle, which is a needle with a jagged end. Insert the needle straight through the snag down into the fabric and gently pull the thread through to the inside. This hack is something that all women must know. Just a drop of a clear nail polish can stop a run in your tights. If you have a pair of suede shoes,then you are probably looking for a solution of how to get rid of the dirt that attaches to them. The easiest way is to buff it out with a nail file. Also, suede shoes can sometimes get dirty from dark wash jeans and the best way to clean them is with the use of suede cleaning kit – a brush designed for use on suede and a rubber eraser. Follow the link below the photo for further instructions. 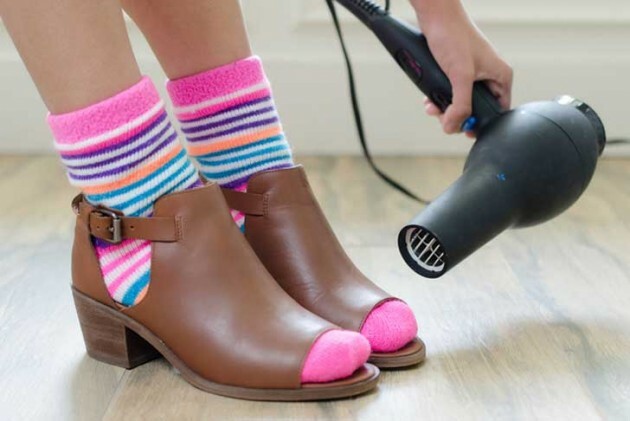 Another way to stretch tight shoes is to put them on while wearing thick sock and blow dry the tight area. 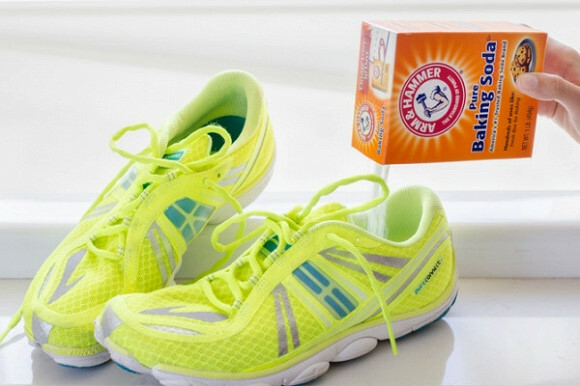 Pouring a little bit of baking soda can eliminate the odor and absorb the sweat from your sneakers. One way to fix a stuck zipper is to color the teeth on both sides with a crayon. 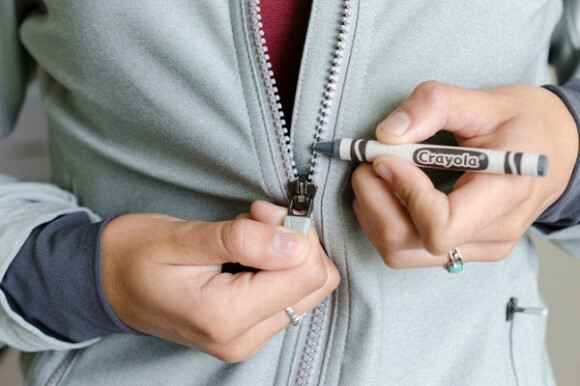 Just make sure the crayon is in the same color as the zipper. 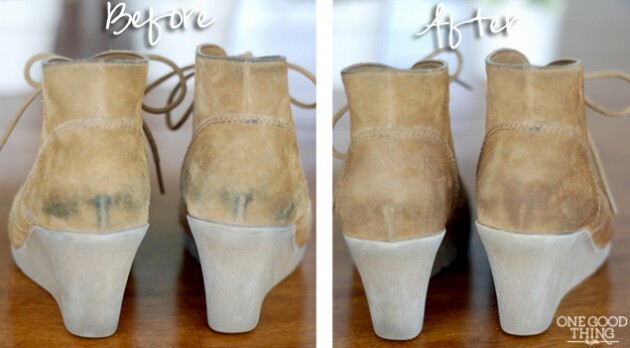 Salt stains can be easily removed from leather shoes with a couple of ingredients that you already have at home. Find out which are they on the link below the photo. If you have accidentally smudged your makeup on the collar of your shirt, take a dollop of shaving cream and apply it to the stain in gentle blotting motions. Do not rub the stain but completely cover the stain with a thick layer of the cream. Use water to rinse off the cream and if there is a stain remaining repeat this technique until it is completely removed. In order to fix a scuff on a patent leather shoe you will need to apply some petroleum jelly with a cotton swab on it. 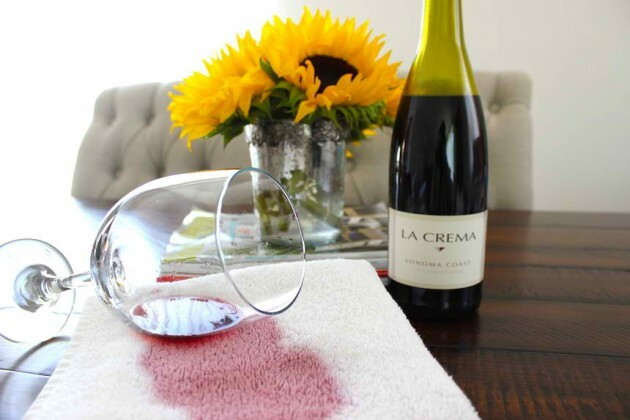 If you have accidentally spilled red wine on your favorite top, pants or dress, immediately pour a white wine over the stain and blot it out with a thick towel. In case you don’t have white wine available at hand, you may also use vodka or club soda. Grease stains on clothes can be easily removed with a white chalk. 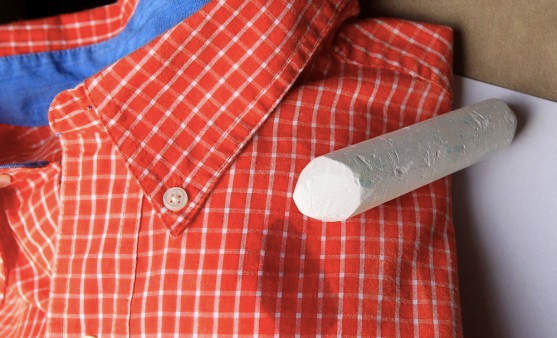 Simply crush the chalk and sprinkle it on the stain and let it sit overnight. Brush it off the next morning. 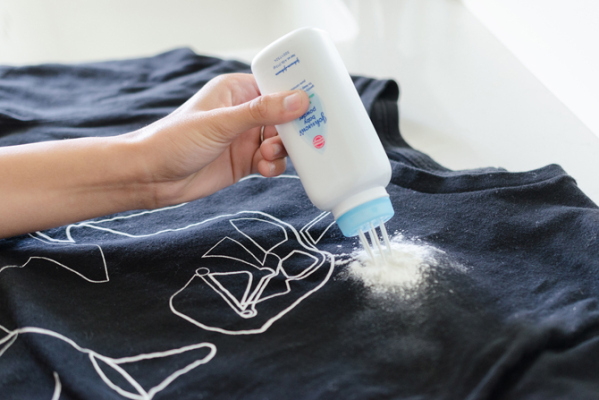 In case you don’t have a chalk, you can use baby powder to get rid of grease stains. Apply the powder on the stain and let it sit for a night to absorb the grease. 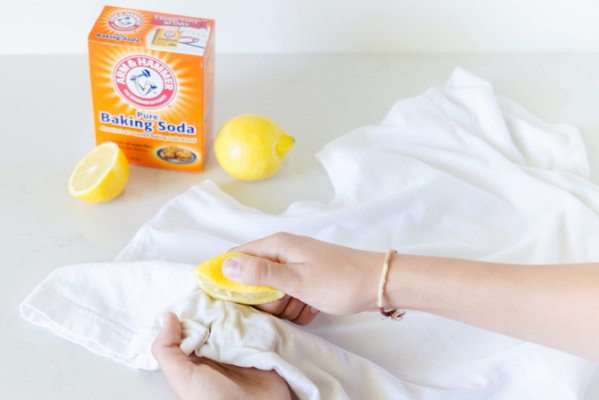 And the last hack on our list for today is to show you how to remove armpit stains with the use of baking soda and lemon juice. Squeeze a lemon juice and water onto the stain and rub the mixture in. Let the shirt dry out in the sun. And for tough stains, make a paste of baking soda and water and apply to the stain. Let it sit for an hour and then throw it into the wash. These were the 20 Must-Know Hacks For Fixing Ruined Clothes that we have chosen for you today and we are sure that you will find them useful. Thank you for reading and stay up to date with us to find many other hacks that will make your life easier.